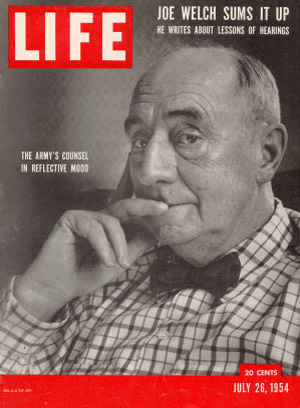 Joseph Nye Welch of Waltham, MA served as the chief counsel for the United States Army when it came under attack by Joseph McCarthy’s Senate Subcommittee on Investigations for alleged infiltration by Communists. 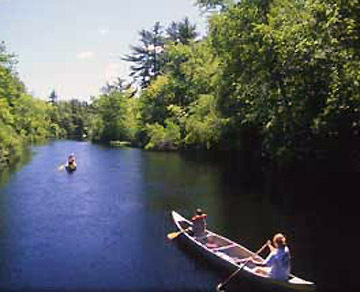 He was a child of English immigrants, a graduate of Harvard Law School and a senior partner at Boston law firm Hale and Dorr. On June 9, 1954, the 30th day of the nationally-televised hearings, McCarthy accused Fred Fisher, a junior attorney at Welch’s law firm, of associating with the National Lawyers Guild (NLG), which FBI director J. Edgar Hoover accused of being a Communist front organization. 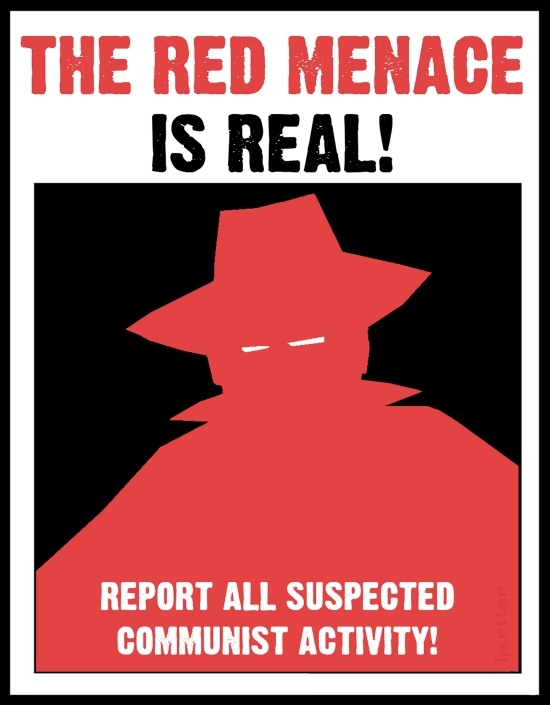 Anti-communist poster during the Red Scare. 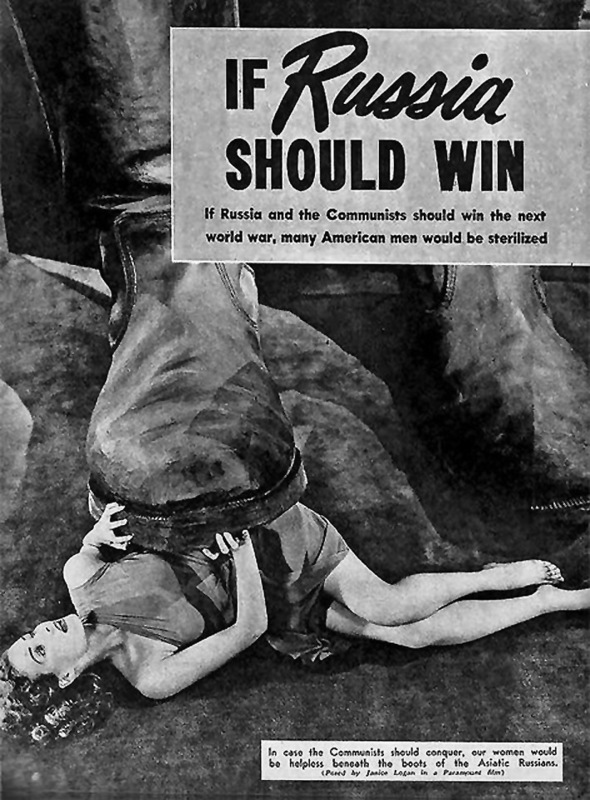 American fear of Communism reached a hysterical level in the aftermath of WWII. In 1947, President Harry S. Truman signed United States Executive Order 9835, under which millions of federal employees were interrogated by government loyalty boards about books and magazines they read, organizations to which they belonged, and their religious affiliations. “We will not walk in fear, one of another. We will not be driven by fear into an age of unreason, if we dig deep in our history and our doctrine, and remember that we are not descended from fearful men — not from men who feared to write, to speak, to associate and to defend causes that were, for the moment, unpopular. This is no time for men who oppose Senator McCarthy’s methods to keep silent, or for those who approve. We can deny our heritage and our history, but we cannot escape responsibility for the result. There is no way for a citizen of a republic to abdicate his responsibilities. As a nation we have come into our full inheritance at a tender age. We proclaim ourselves, as indeed we are, the defenders of freedom, wherever it continues to exist in the world, but we cannot defend freedom abroad by deserting it at home. The actions of the junior Senator from Wisconsin have caused alarm and dismay amongst our allies abroad, and given considerable comfort to our enemies. 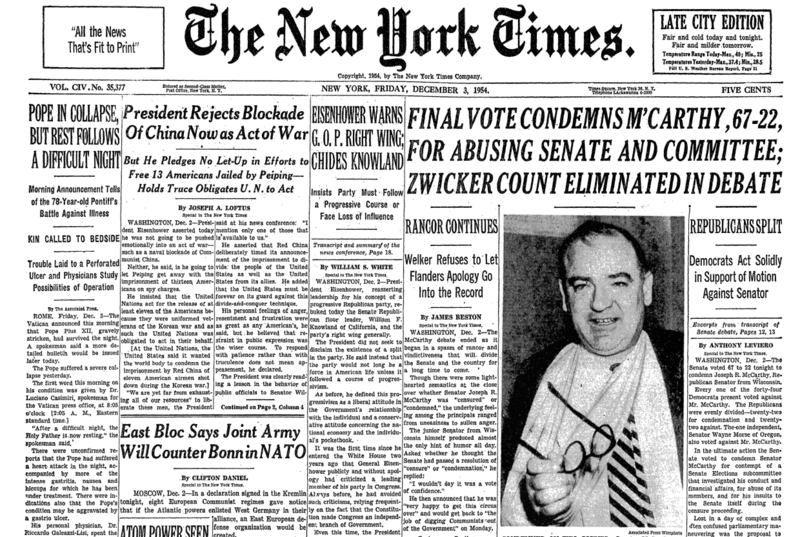 On December 2, 1954, the U.S. Senate voted 65 to 22 to condemn Senator Joseph R. McCarthy for conduct unbecoming of a senator. He had destroyed the reputations and careers of many innocent government officials and civilians by charging them with being Communists or homosexuals. Massachusetts Senator John F. Kennedy, whose campaign had received contributions from McCarthy, was in the hospital at the time of the vote. Asked by Arthur M. Schlesinger Jr. why he avoided criticism of McCarthy, Kennedy replied, “Half my people in Massachusetts look on McCarthy as a hero.” Eleanor Roosevelt wrote that when reporters asked him how he would have voted, he failed to express an opinion. In the Congressional elections of November 1954, the Democrats regained control of the Senate. The Republican leadership stripped McCarthy of his committee chairmanship, and whenever McCarthy would enter a room, any other Senators present would leave. Joseph McCarthy remained in the Senate until his death in 1957, at the age of 48 of acute hepatitis exacerbated by alcoholism. Joseph Nye Welch went on to have an acting career, and was nominated for a Golden Globe for Best Supporting Actor for his role in Anatomy of A Murder. He died in 1960 of a heart attack at the age of 70.